Grandcity is recognized as an industry leader. ICBC Accredited Collision Repair and Valet Service. In recognition of our exceptional customer satisfaction ratings and because our paint and repair facilities far exceed industry benchmarks, ICBC has recently awarded Grandcity Autobody the prestigious distinction of being an ICBC c.a.r Shop VALET. 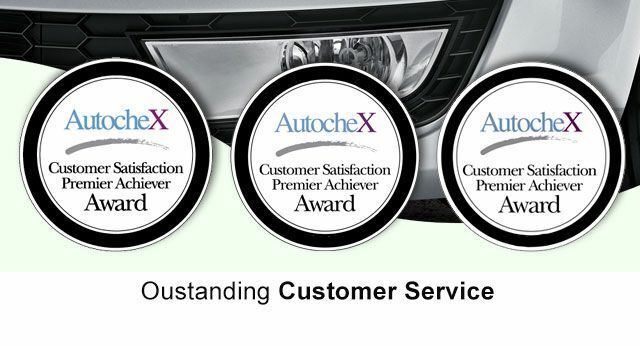 In 2009 and 2010, Grandcity Autobody Ltd was awarded the Premier Achiever Award by ICBC. This award, which is only given to the top 4% of Autobody Repair shops across North America, is given to those shops with the top customer survey results. The survey’s scores are based on specific criteria, such as the shop’s ability to keep customers informed, provide them with on-time deliveries and provide efficient, safe and quality repairs. We are very proud of this achievement and we are honoured to be recognized by ICBC for our commitment to our customers!